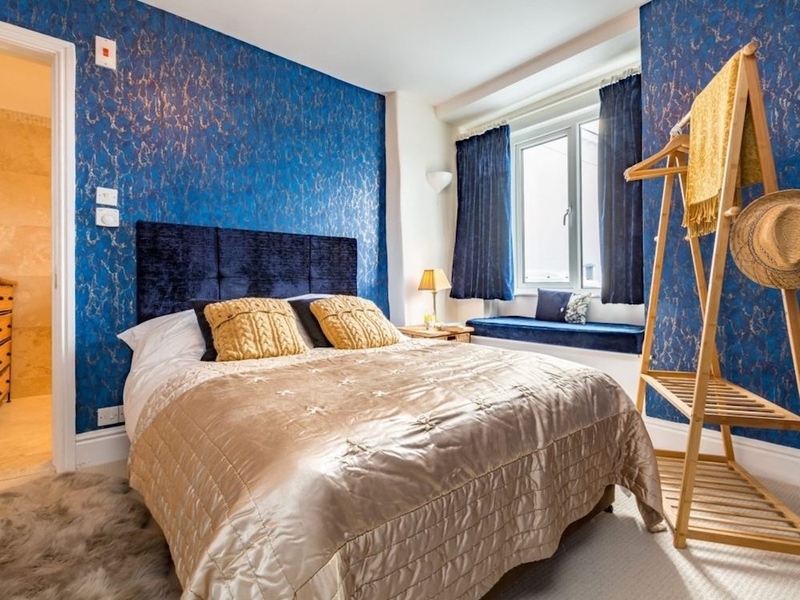 Fancy a room with a view? 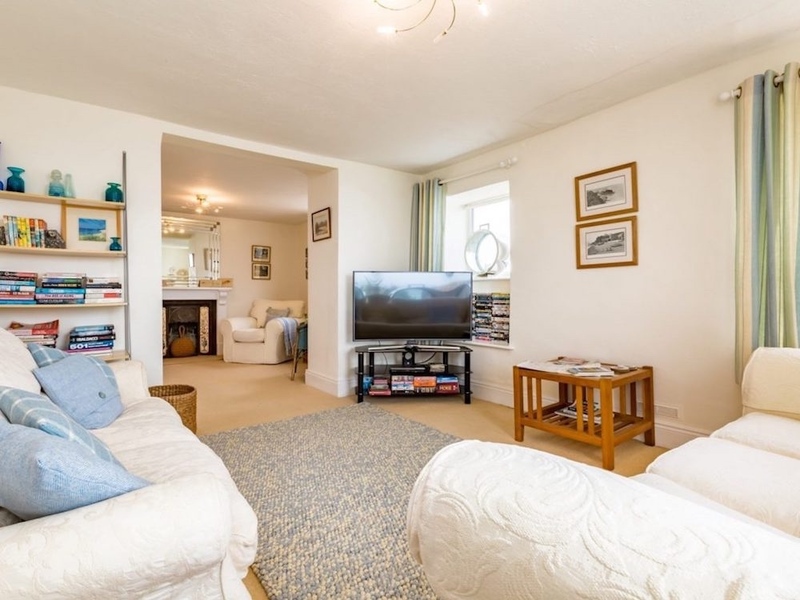 This family-friendly holiday home has panoramic ones all over! Muddy says: Well hello Cliff House, you South Devon beauty! 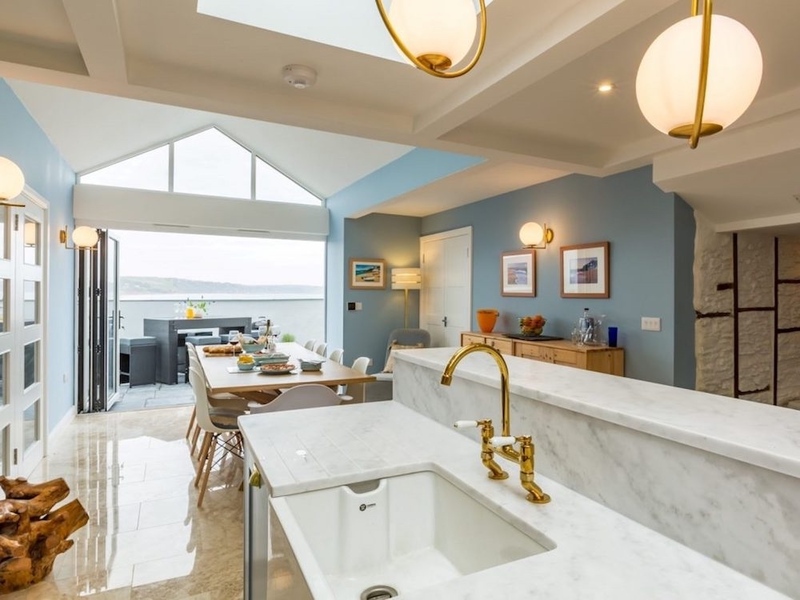 Need a view of the sea from your family-friendly holiday rental? Try panoramic views on three sides in this one. Not keen on being in the thick of things in Dartmouth or Salcombe? 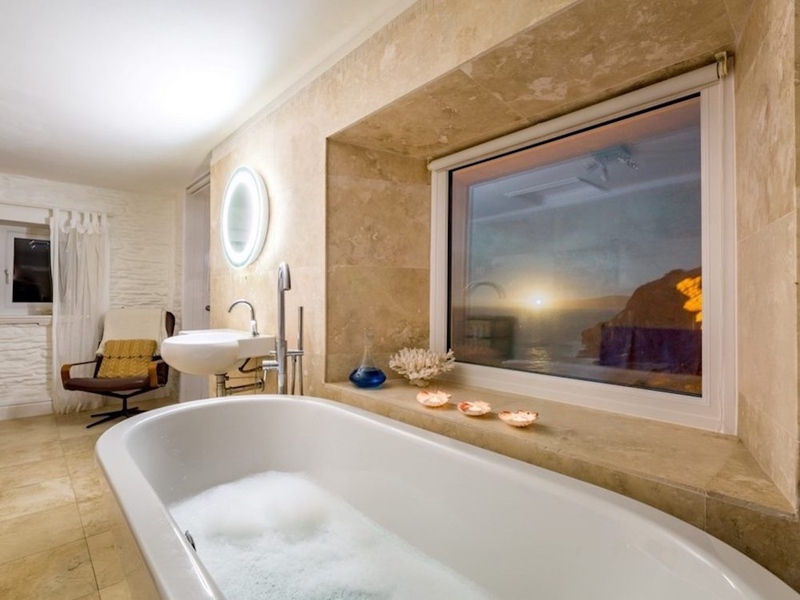 At Cliff House, you can perch serenely above it all, yet still have everything reassuringly within easy reach. 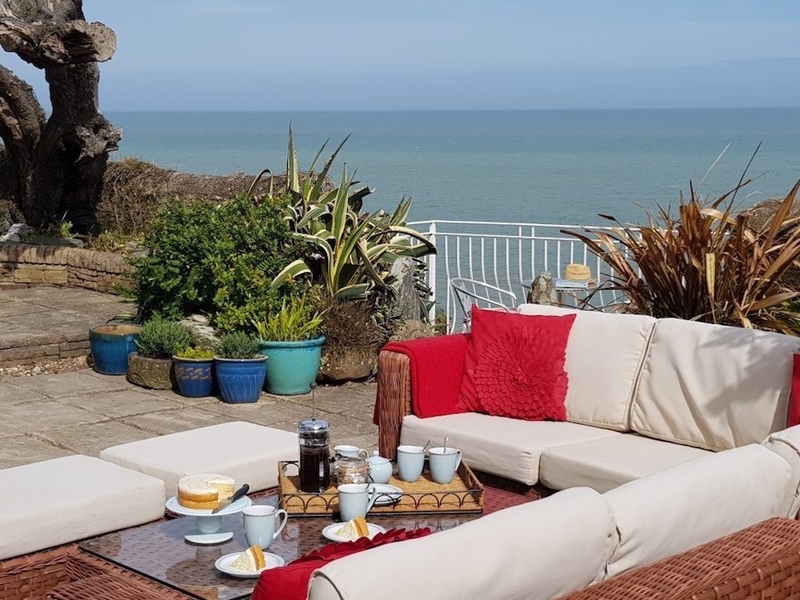 Located in the South Hams village of Torcross, this unique, historic clifftop holiday rental is idyllically placed between two beaches on the south coast, looking out towards Start Bay. 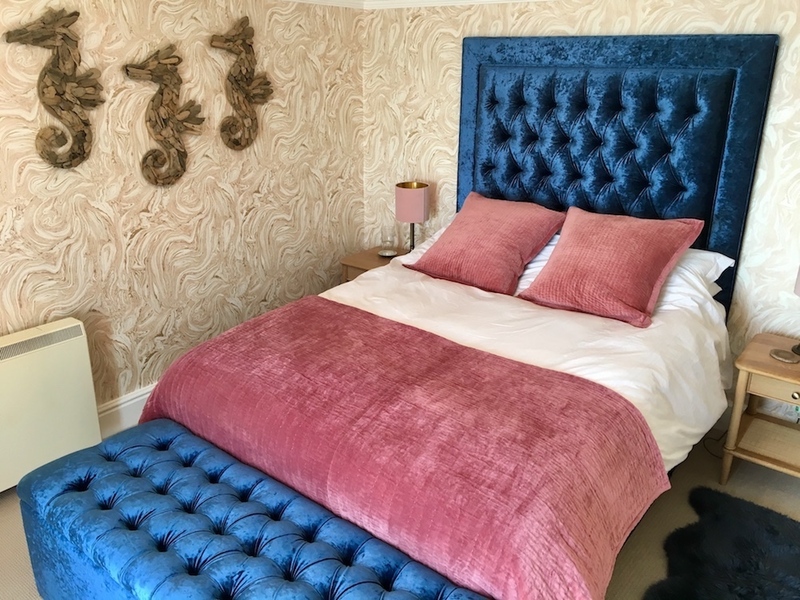 The house, following a super-stylish refurb in 2018, has been beautifully decorated, setting the scene for a relaxed and sophisticated break. 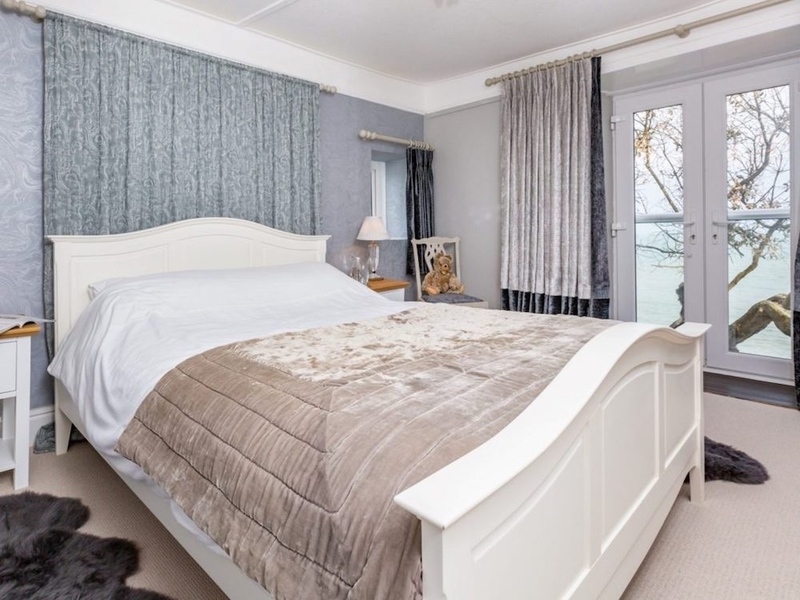 Sleeping ten, across five bedrooms, there is plenty of space for you (and well-behaved hounds) to chill out. 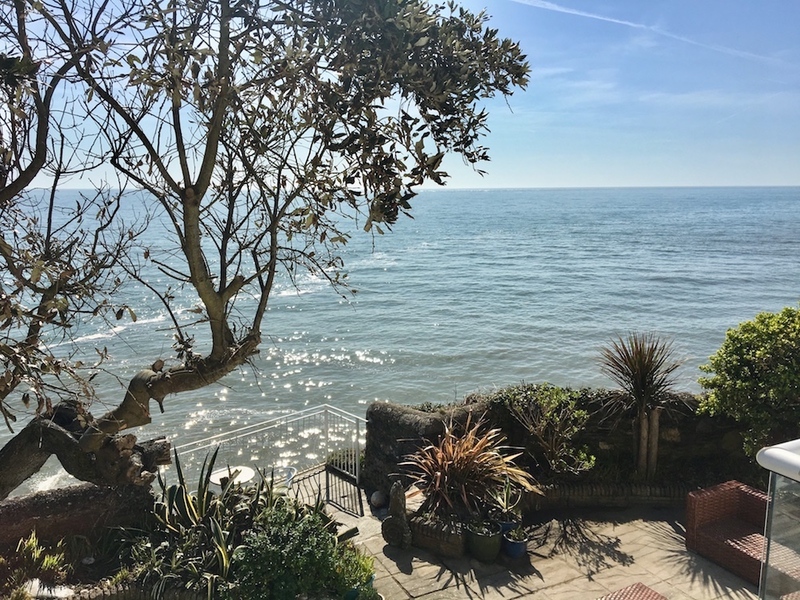 Outside, you can enjoy the views from the first floor balcony, take breakfast on the terrace, lounge in the garden, or wander down the steps straight to the beach (anyone would think it was the Amalfi coast!). 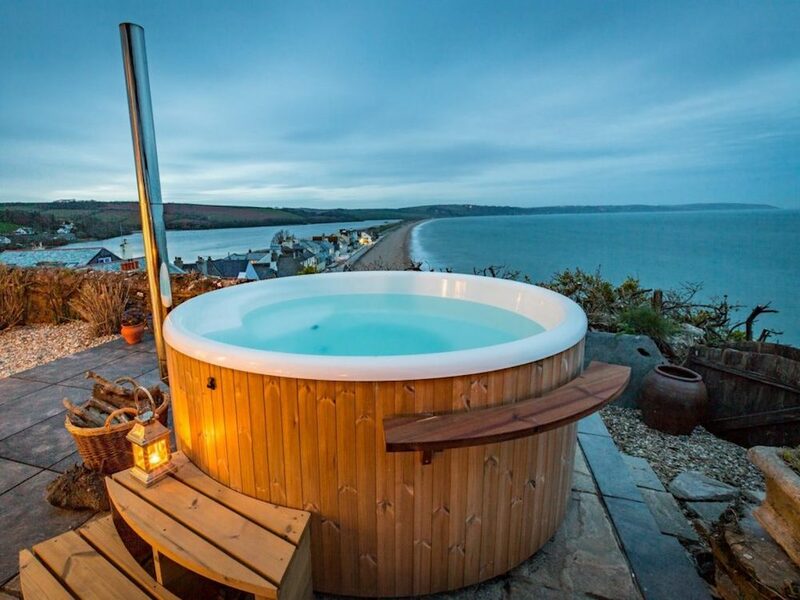 Did we mention the hot tub, too? A huge bonus is convenient parking and all the usual village amenities nearby. 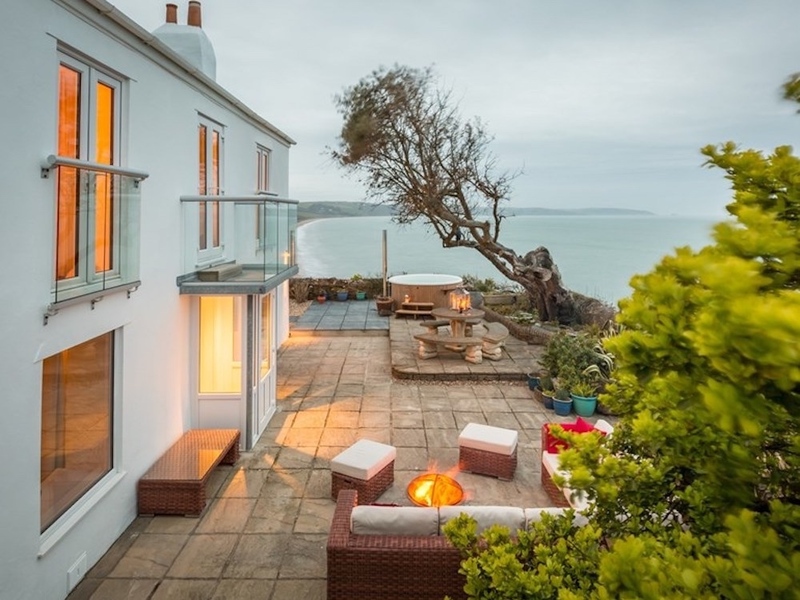 If you’re thinking of exploring the South Hams’ best towns and beaches, from Kingsbridge, to Dartmouth, Salcombe and Bigbury, you’ve basically hit jackpot. Read the full Muddy guide here. £2099 - £4365 per week.